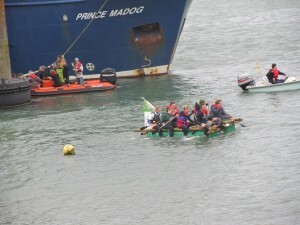 A team of helpers and friends took part in the the Great Straits Raft Run on May 29th. The weather was rather rough which meet the start was delayed. Despite this, the team did manage to complete the trip to Menai Bridge without needing a tow. We’ve managed to raise over £400 in sponsorship. Well done and thanks to all concerned.